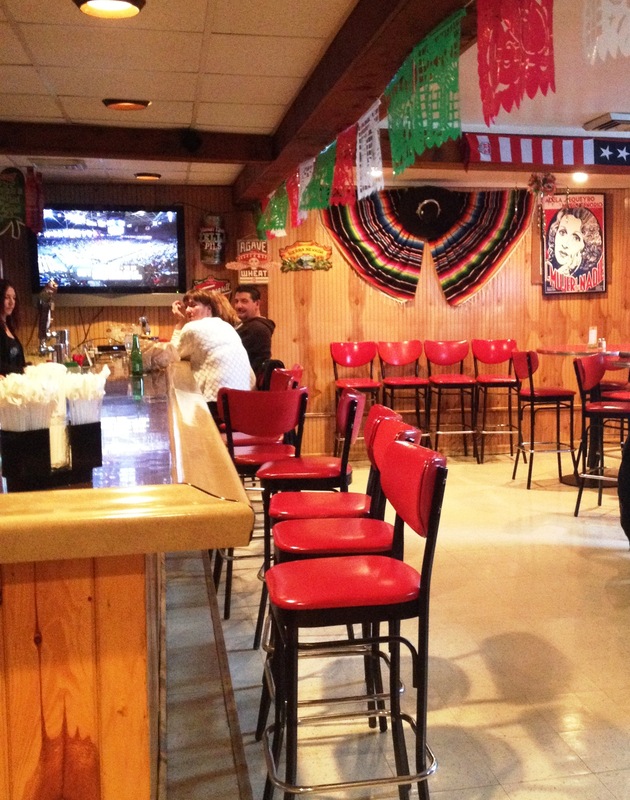 While visiting New Paltz, NY , I wanted to dine at a Mexican sit down establishment and learned there is a new place only a few months old named Los Agaves. 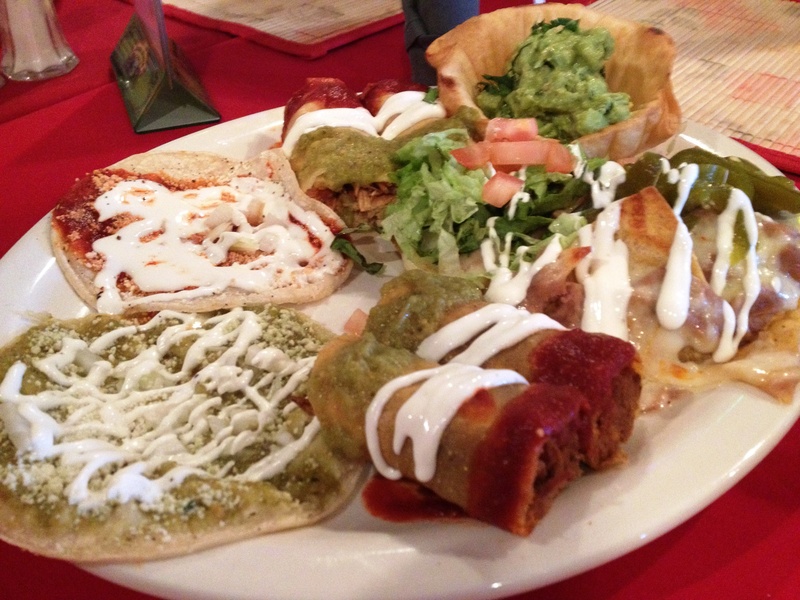 This is a family owned and run business who takes great pride with all the wonderful Mexican food they offer. The rooms are divided up by bar area with tables and a separate room for dining. 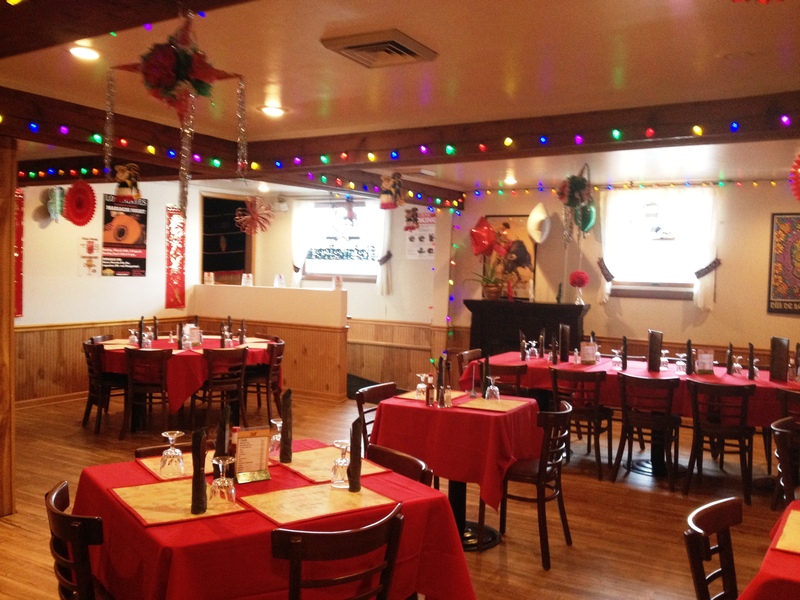 Festive lights, sombreros and murals fill the walls with a fun quirky feel.The waiters are very attentive and friendly while offering a lot of good suggestions. We started with chicken quesadillas and a mixed appetizer sampler called botana ocateca which included guacamole, chicken burrito pieces, beef chimichanga bites, tostatoes and other nice choices.This was so tasty we finished it all.There were also tortilla chips and fresh salsa on the table. For the main entree I ordered shrimp with chipotle cream sauce. Another in my party picked chicken and beef fajitas and a chicken with red mole sauce and cheese was also chosen. The last interesting item ordered was a combination plate of ground beef taco, shredded beef burrito, and a chicken chimichanga. 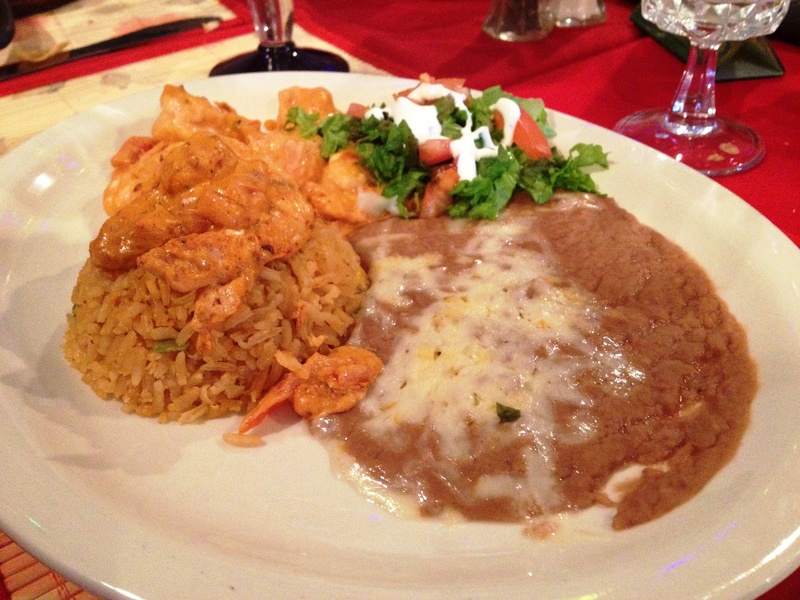 All main dishes come with refried beans and Mexican rice.We all felt the food tasted truly authentic and fresh with very generous portions at reasonable prices. 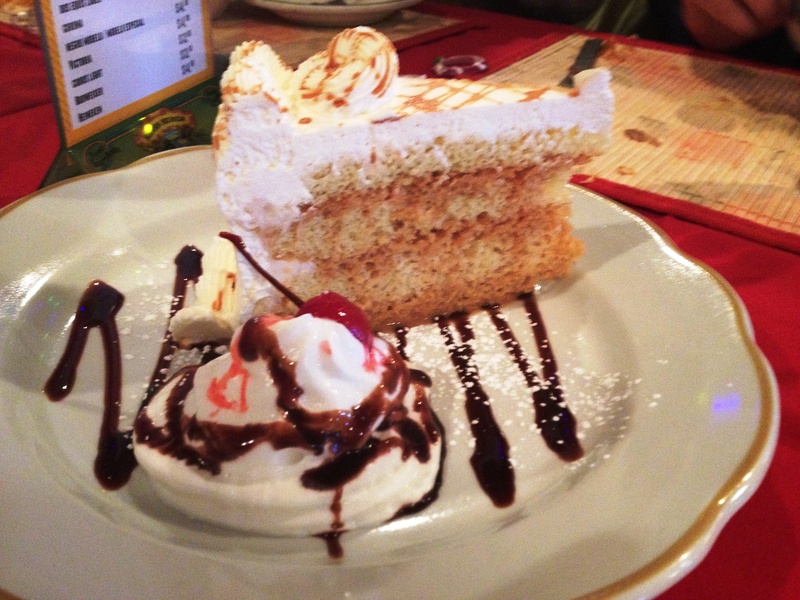 For dessert we shared the thre leches (three milk) cake and the chimichanga dulce with sweet cream and banana inside. We really enjoyed them both.The tres leches cake was so good I ordered a piece to take home.! While visiting or staying near New Paltz don’t miss this wonderful new restaurant with great service, delicious food and a fun atmosphere. I plan on coming back and trying new picks. I visited Osso Buco for dinner with my family to try this new restaurant offering steak and fresh seafood options as well as Italian classics and favorites. The restaurant has a sleek traditional decor with lovely dark wood and soft lighting.The wait staff are all very courteous and professional with eager to please attitudes. We began our meal with appetizers some of which were specials. 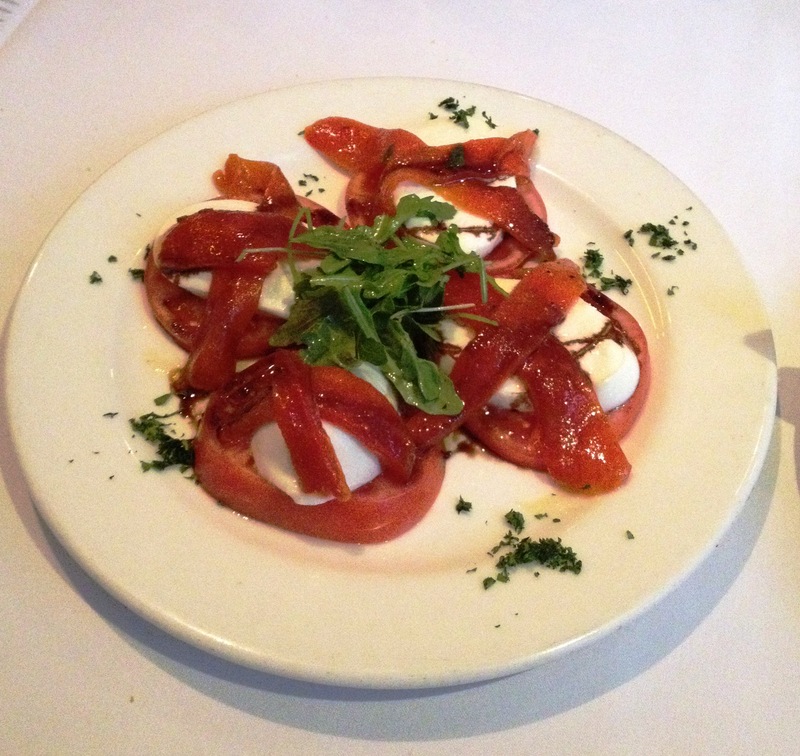 The burrata cheese with tomatoes and balsamic glaze was very fresh and the cheese is made daily . This was delicious. 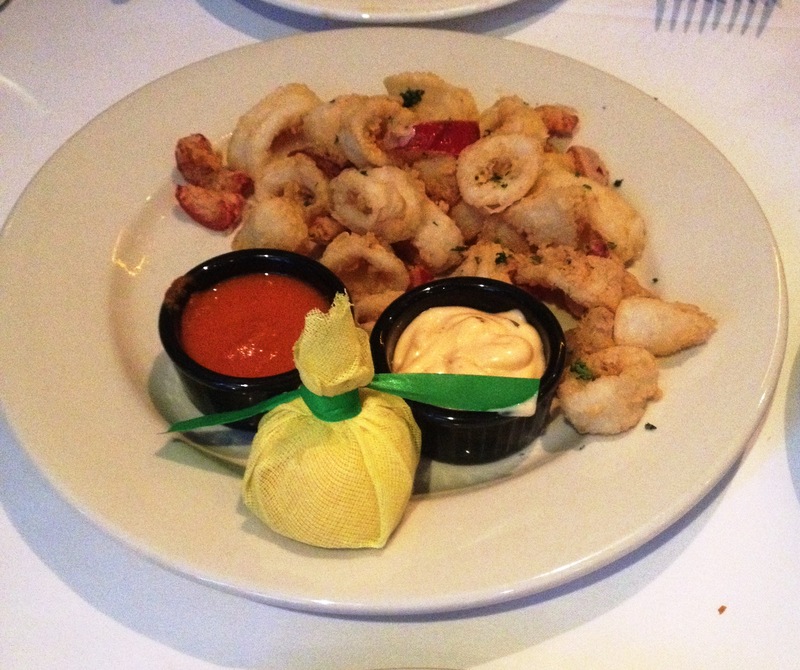 We also enjoyed the fried calamari which was light and crisp with two side sauces. A marinara and a pink gremoulade. The specials we tried were steak on toast flats with a creamy sauce and we also had smoked salmon with beets and cavier. Both were very creative and tasty. 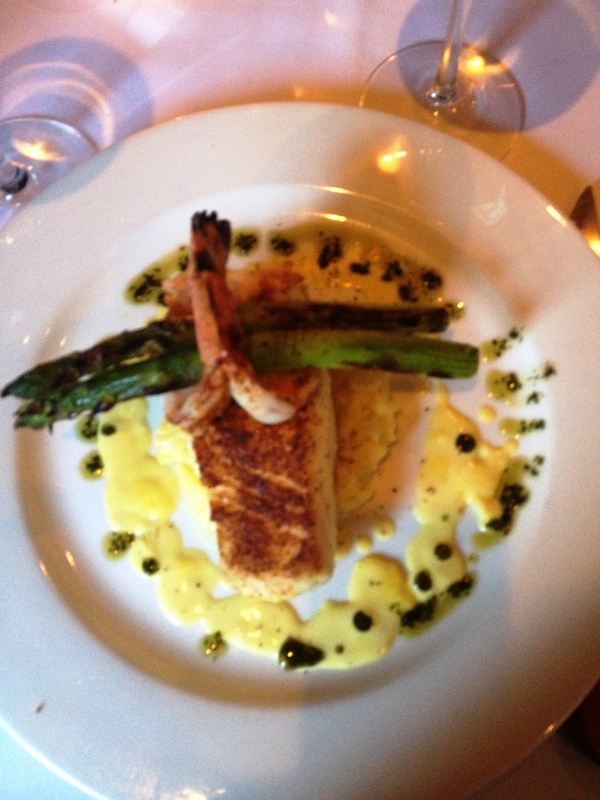 I ordered halibut with a bleauc wine sauce with saffron and a bed of lemon risotto and asparagus. I loved this entree. My husband and daughter picked the filet mignon with broccoli and roasted potatoes on the side. The presentation was beautiful with a shrimp on top of the steak and asparagus spears as well. They said this was very good and quite soft and compared the quality to that of a top NY steakhouse. My other daughter chose the chicken parmigian as this is her favorite and she really enjoyed it. For dessert we had a tiramisu cake, Italian cheesecake and a chocolate cream mousse. all fresh and a nice finish to our meal. Osso Buco is quite new as it has been open just a few months now. I would definitely suggest dining at this fine establishment with perfect service and delicious food. My family and I visite d Gaucho Grill on a Sunday afternoon for a buffet brunch. 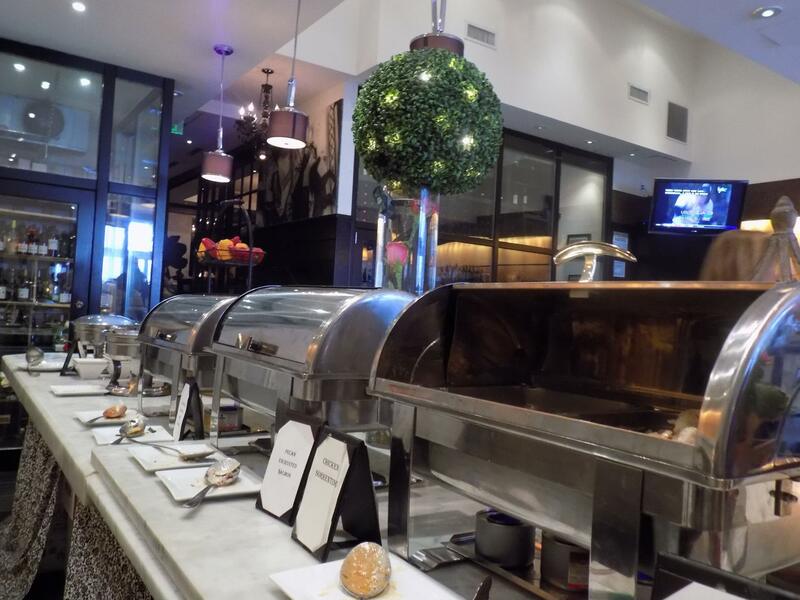 Located in White Plains, New York, this upscale buffet was a true delight. Gaucho Grill is a unique restaurant which features Argentinean and Italian cuisine. 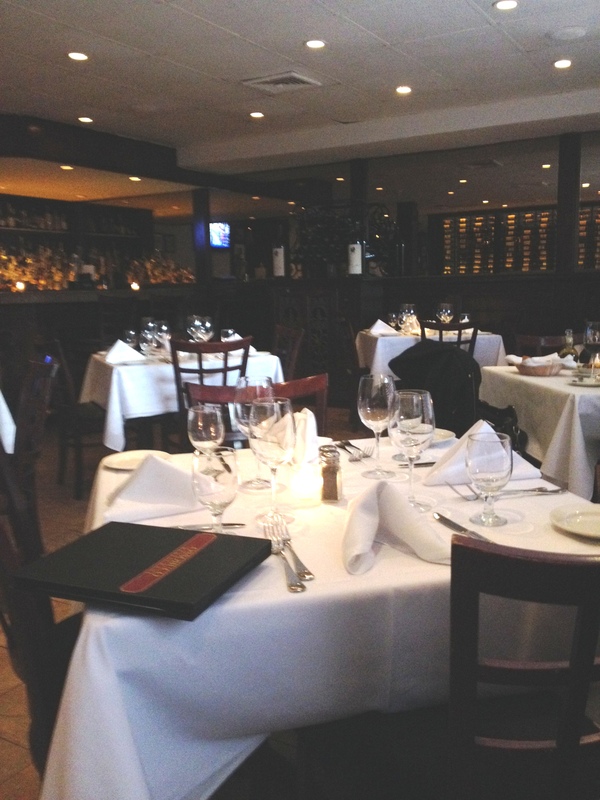 As we were brought to our table, I was impressed by overall ambiance and charm of the dining area. Several crystal chandeliers were softly lit, each table had white linen table clothes with beautiful fresh roses. There was an eclectic mix of styles from classic.retro, and modern. Upon entering Gaucho Grill, I immediately discovered the lovely display of food selections. This included a carving station, omelet and pancake station, cerviche, assortment of breads, muffins, pastries, cheeses, salads, vegetables, fresh fruit, plantain, and lovely entrees. I really enjoyed at the entrée section with pecan crusted salmon with a delicious Spanish rice. 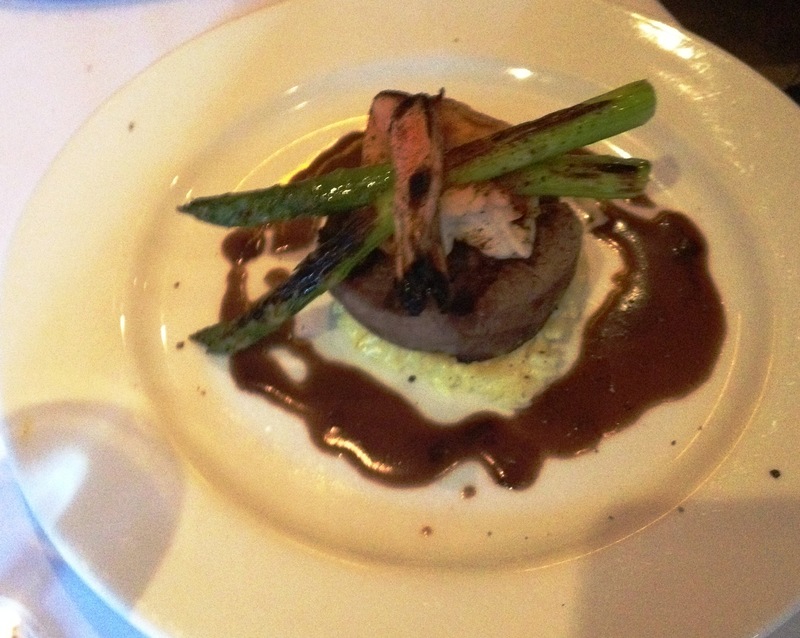 The Chicken Sorrentino was a favorite at the table along with succulent skirt steak. 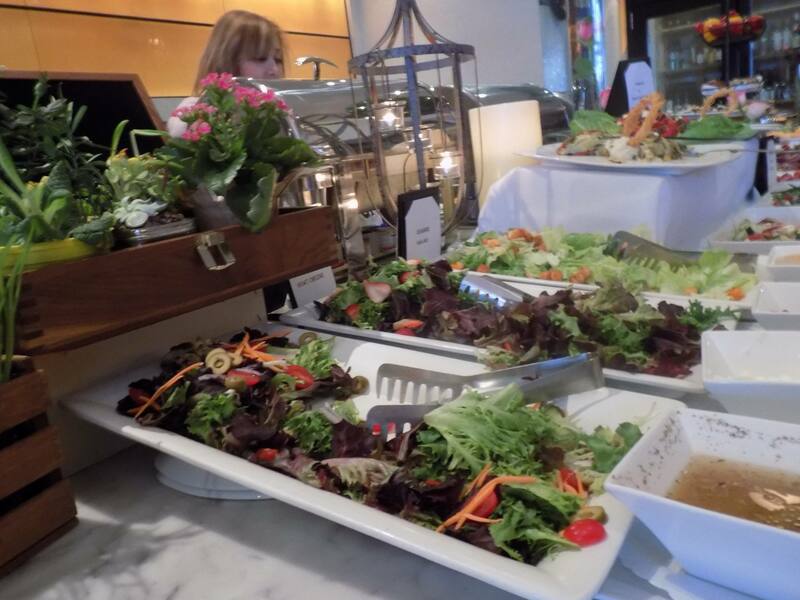 For healthy options and for vegetarians, there is an assortment of salads, fruits and vegetables available. I was especially pleased with the strawberry and cheese salad topped with a light vinaigrette. 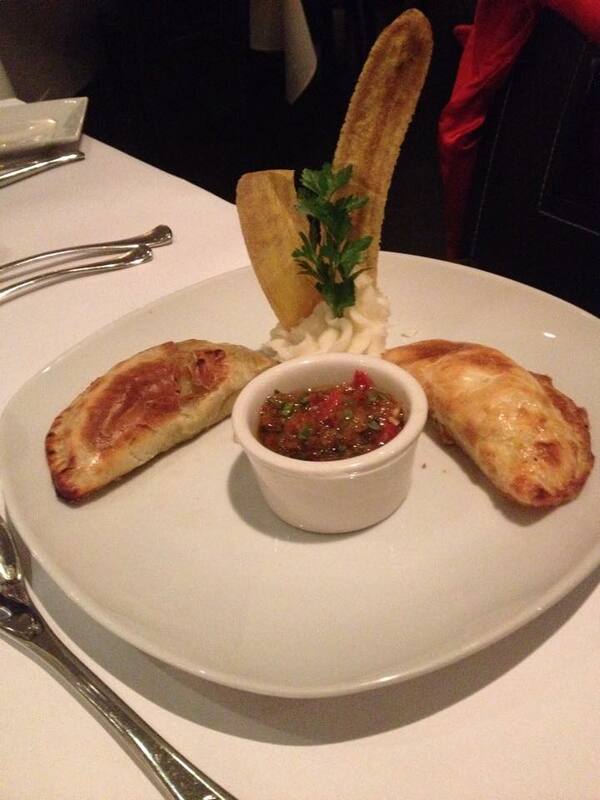 We ordered chicken and beef empanadas from the regular menu. Not only were the empanadas presented beautifully with a scrumptious salsa, but the empanadas themselves lived up to their expectations of “Westchester’s best empanada”. For a wonderful finish to this fine meal, there are plenty of dessert choices. There were cookies, cakes, and wonderful selection of pastries. After looking at the regular menu, our family decided to order homemade desserts made by the chef, Angelo Magno. This comprised of tiramisu, flan, chocolate mousse, and tres leches cake. (see above left ). The plate was presented beautifully with raspberry and chocolate sauce made in the shape of leaves on the plate. My daughter stated “this is the best flan that I have ever had.” The tiramisu was extra light and fluffy and extremely fresh. 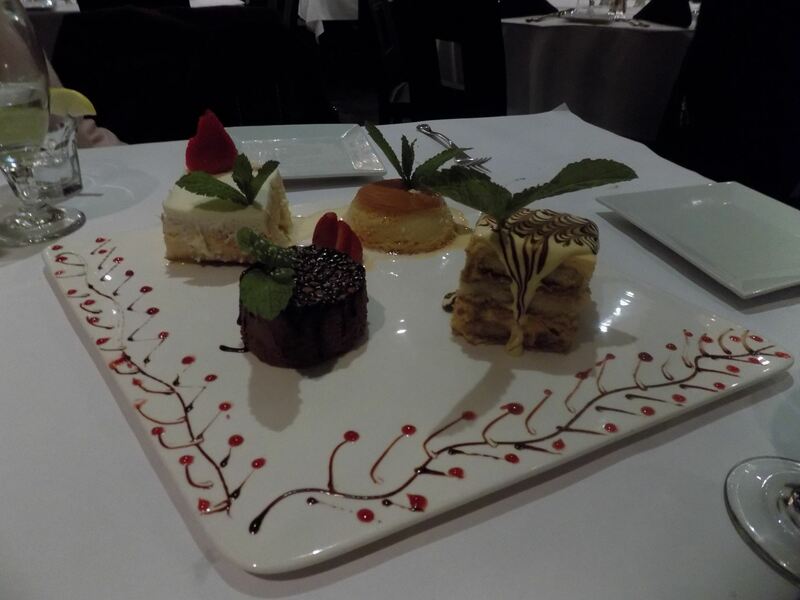 My husband and other daughter appreciated the soft tres leches cake and rich tasting chocolate mousse. Although a buffet, the waiters are there to provide the finest and friendliest service. 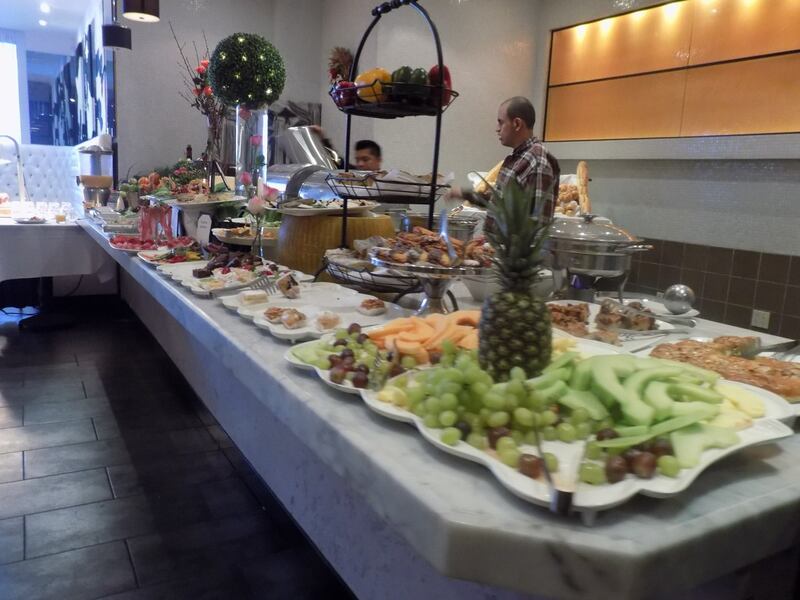 You must try this restaurant for a wonderful Sunday brunch that you will remember . 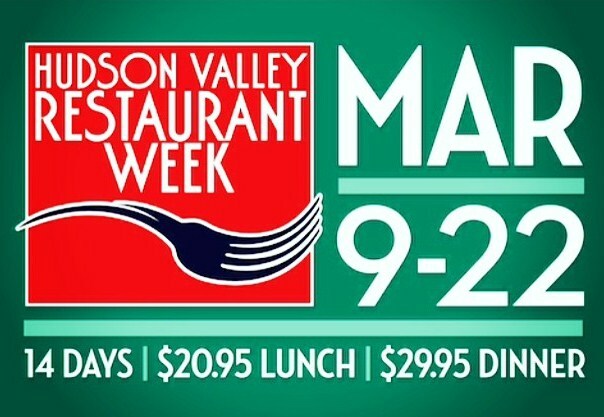 Hudson Valley Restaurant Week will be back March 9-22. This is a wonderful opportunity to try over 210 participating restaurants with diverse and appealing dining options. The restaurants all have three courses and is a great way to visit a place you might have want to try but never had the time or thought it was too pricey. All lunches are $20.95 for three courses and dinners are $29.95 for three courses. Places range from very casual to quite fancy. 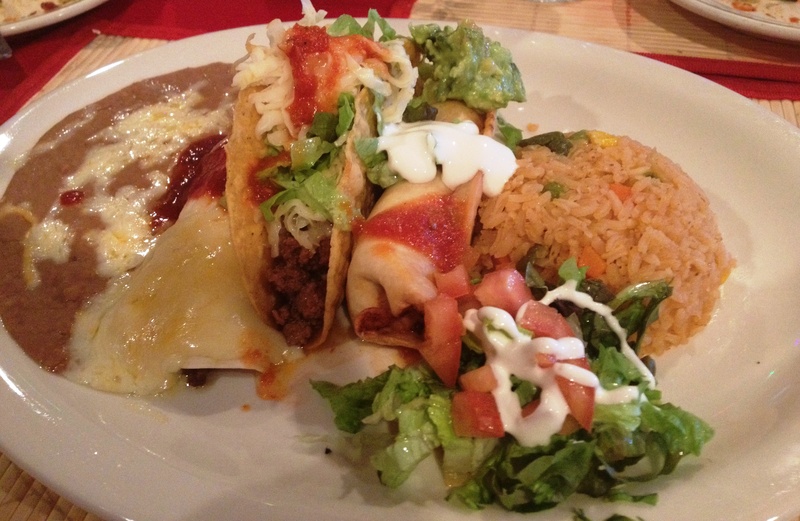 Visit HudsonValleyRestaurantWeek.com for the official listings, menus and other information. This fantastic dining opportunity is presented by The Valley Table Magazine. Don’t miss these exciting two weeks of great deals of new and old dining favorites.